Eco+Plan provides more than just design and drawing services. We are typically involved in the project from start to finish, assisting clients and builders in obtaining price quotes, specialty products, and even monitoring the completed building's energy performance. Eco+Plan is a Certified Passive House Consultant, assisting clients in meeting what is commonly called "the most rigorous building energy standard in the world". These super-insulated, and airtight homes consume only about 10% of the energy compared to a typical new code compliant home. For clients not particularly committed the the Passive House approach, Eco+Plan applies the same energy efficiency and building science principles to commonly produce homes consuming only 30% of the energy compared to a typical new code compliant home. This can even be achieved with out increasing the construction cost. Eco+Plan uses advanced energy modeling software to design its super-insulated and zero energy homes. 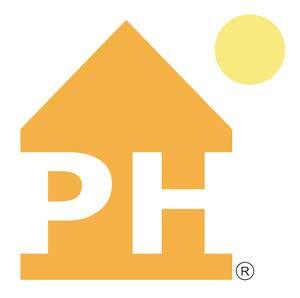 Originally designed by German engineers for creating "Passive Houses", the Passive House Planning Package (PHPP) is the best available software for extremely low energy homes. When creating super-insulated and zero energy buildings, construction details become very important. Relatively small changes in a building system can create large energy and health improvements. Eco+Plan provides you with the support needed to follow through with these important details. Eco+Plan does not abandon you after construction is complete. Using remote data-loggers and your feedback we are able to monitor building performance to ensure that everything is working properly. This feedback helps us to intimately understand our buildings and inform our design process.